One of the more popular styles of cases floating around these days is the horizontal or lateral cases. They ride close to the hip and for the most part are less bulky than vertical cases. 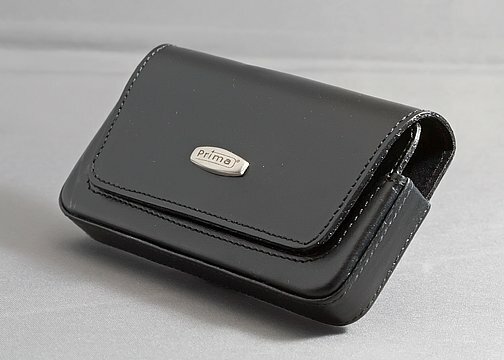 Prima Cases offers their Lateral Pouch Case ($34.95) into the mix hoping to lead the pack of various side cases available on the market. 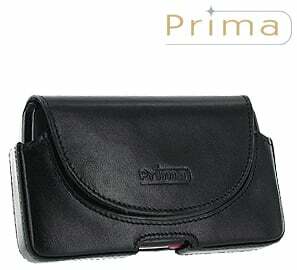 To see where the Prima Lateral Pouch falls, read on! When you first open the box the Lateral Case comes in you cant help but to take notice of the leather construction. The aroma of the leather case reminds me of quality leather gloves or a nice leather jacket. 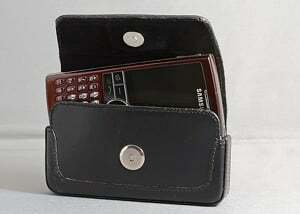 The case is slim cut with a large flap that covers, protects and holds the phone in place. The interior is lined with a soft, silky type fabric that protects your phone from scratches. 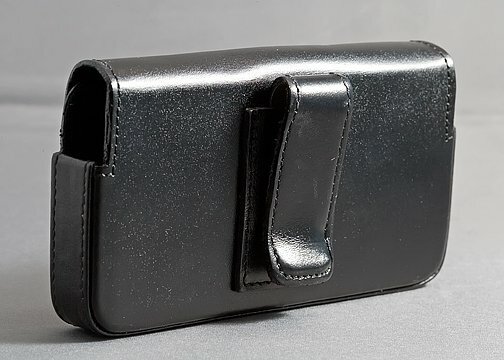 The case is held in place on your belt by a sturdy belt clip that is wrapped in leather. The clip is long enough and tight to hold the case securely on your belt and rides comfortably. The ends are built up really well to protect your phone from bumps and the case itself has some padding to protect the phone should the case pop off your belt or bump into a wall. The case is well made with solid stitching. I didnt notice any loose stitching or any areas that appeared weak. 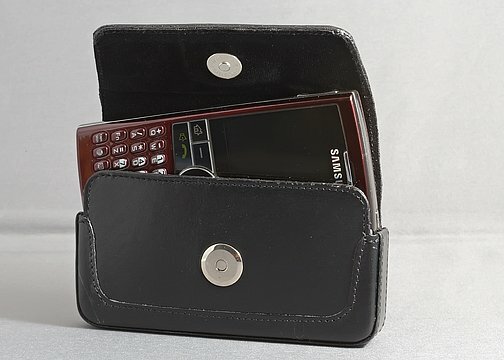 The phone fits tight in the case and with most leather cases, with a little use the leather stretches to better accommodate the phone. The only issue I had with the construction was with the flap and magnetic closure. With the phone in the case, the flap was just a hair too short and it was difficult to get the closure secure. I eventually worked the leather where the closure snapped but it took a good bit of effort. I would have preferred to see Prima use something other than the magnetic snap. It was just too difficult to get the closure peg to snap into place. Without the closure snapping into place, the flap wasnt secure. I think magnets alone would have secured the flap sufficiently and would have been easier to manipulate. I really wanted to like the ($34.95) but the poorly fitted cover made it difficult. If flap was cut better to fit the phone or if you could replace the magnetic snap closure with just magnets, the case would improve greatly. It is well built, rides comfortably and provides moderate protection for you phone but its hard to get past the fit. For those looking for a quality horizontal case, the Prima Case falls a little short. As an alternative, the Lateral Pouch Case ($24.95) might be a better option.